WED Magazine presents the Inaugural Edition of the WED Awards - Vote for Your Favourite Wedding Entrepreneur Now! We love celebrating weddings here at BellaNaija and just like our faithful readers we can’t wait for this event. After months of growth and expansion since their launch in July 2011, WED Magazine, Nigeria’s foremost wedding go-to magazine presents the maiden edition of WED Awards. 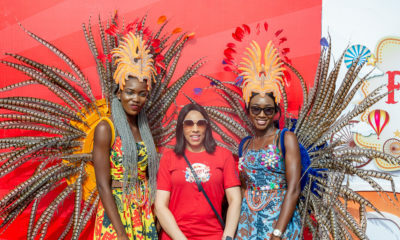 WED Magazine, apart from being a rich and classy periodical tailored to meet every wedding need, is also the convener of Nigeria’s largest wedding exhibition. The WED Expo made it’s debut in March 2012 and was attended by engaged couples, stakeholders and the general public to learn all there is to know about weddings, receptions and more. The organizers are set to host a bigger and better exhibition this March 2013. Venue: Landmark Village, Oniru, Victoria Island, Lagos. 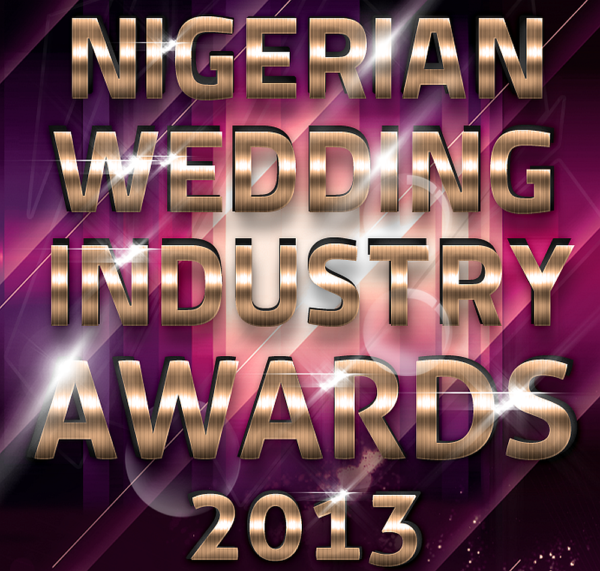 Voting for the nominees starts on Monday 11th February 2013 and ends on Monday 11th March 2013. It would be done via the awards website www.weddingindustryawards.com and winners would be selected by both the voters and a select panel of judges. Newton and David wasn’t nominated for the decorators of the year? Scam where is DUNAMIS in the decorator of the year category, rubbish. the list is ridiculous. decorator of the year no victoria f, no aquarian touch, no yvent kouture,no newton and david. WED i am disappointed inyour lack of credibility. Well, isn’t it obvious, the ONLY award nominees are companies who have paid to partake in the Wed Expo they run!…..
LOL…..why is it paining you that I am pointing out the obvious truth. The truth will always prevail regardless of whether or not I am an olodo. What does my business name have to do with anything? Please take your abusive self somewhere else. I’m talking to WED/BN not you. Clearly you must be one of the people on the list or a WED team member. You wont last in this business with this lack of transparency. This is 2013 for Gods sake. i am surprised newton and david is not on this list ! Is it only people in Lagos that this award is for? No Furtullah? No Victoria F?? Really… So y are we voting??? Its obvious that some people have bad blood in them, imagine how people who cannot so much as float any good thing rubish a dream created by some creative individuals, I wish I know the guys behind this award, they are cool. Everybody cannot be on the list, there are so many people not here, Grandeur hall is not here, the Ark is not here, Linensville is not here, Facetalk is not here so please move on cos everyone cant be here, not enough space for the list. When can we start voting, I am eager, fresh news. I put my name out because i can’t stand people that talk without substance if your company doesn’t make the list move on and hope for next year. Don’t form anonymous and talk message way den no send you. Great job jor. kool. On reading both sides, some are mistaking the point. The issue is not that some people are not on the list. of cos not everyone can make the list but why would you leave out some people who are doing wonderful things and include a very high number of those who are partaking or have taken part previously in the exhibition. That is lack of credibility. Ayo your comment made sense initially but then you went the route that you just have the same assumptions. There are 26 categories and last year i didn’t see up to 30% of this people at wed expo for example lara of Just Weddings wasn’t, Oaken wasn’t only shuga band was and many like that. Lets encourage this people the awards doesn’t mean you are not good its just a start lets encourage wed and move the industry, for example Unveil is my friend and i know she has never done anything with WED b4. Lets encourage them. me, i have my winners already- whether they win or not they are winners in my world in this wedding and event planning ish- No one should abuse me o cos we all have our opinions. 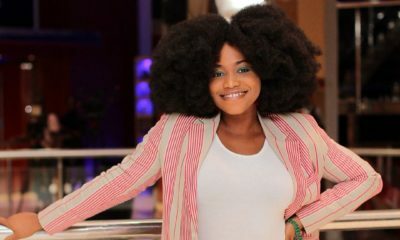 ehn ehn..so therefore Best MUA is sit pretty, Best Upcoming Photographer is TAP studios, best Decorator and wedding planner even though she wasnt included in the list is Dunamis and for those included on the list i would go with Tsoule and Zapphire, best band is Wale zion band not so popular but upcoming, then may be shuga and faith band, best bridal house even though she wasnt put in the category is Brides and More very reasonable and affordable plus quality . wedding online platform, Bella naija followed by wedding on point, Drink company of the year Blue world followed by Ice box….anywhich way Nigeria is very large and there are so many people in the wedding industry it may be difficult nominating all of them and the fact that they are not on here doesnt mean they are not good in their work…its all about personal touch…. Why is bonix drinks? A lot of good companies missing. Surprised Newton and David, Cakes by Tosan and Duduguy Photography did not make the list…..I mean just go through the last 10 weddings posted on bellanaija and you’ll see these 3 well represented in a positive way. Anyways good luck to the nominess. One day these awards will make sense because they will actually represent the very best. Interesting opinions on these… Everyone nominated here are good with their Unique Selling Point.. The fact that some ‘popular’ names are not on here doesn’t mean they are not good/appreciated. Its possible some of their fans didn’t know of these Awards, Some are actually judges for these awards and so can’t partake. We should support every creative business and give them a chance to be celebrated. There are soo many people doing amazing things not nominated, and thats okay, this is 2013, i am so over all these different awards that make no sense. There are even some names here that im thinking huh? how is he/she nominated? from scamming clients? to not delivering on promises? abeg! lets not name and shame ourselves here. Totally silly list in my opinion. A casual google search for ‘nigerian wedding photographers’ throws out many photographers way better than those nominees (Apart from Jide and Atunbi ).. But then like in a previous comment, its the list according to WED magazine. Not one to be a hater, just stating my two cents. A few vendors on the list deserve the kudos (OAKEN Events + 2 more) However, the rest of them don’t even make the cut when it boils down to creativity, high grade products without breaking the bank, customer service and so much more. The list is completely biased and without merit. Then again, if it’s more important to sell booths and make a quick buck, then go ahead WED. Next year, take the time out to carry out a valid vetting process so your list will be based on solid rankings and not who has signed up to be a participating vendor. Exceptional work has nothing to do with being popular. If your work + service is fantastic, nothing wrong with the vendor being nominated year after year. It is what is is. It’ll just make other vendors step up their game so they can knock out viable competition the following year. The oven cake craft fir cake decorator.nice,affordably deliciously made and well crafted cakes. , go oven cake craft! Go oven cake craft!! Go oven cake craft!!! Where is Classic drinks in the drinks category? Interesting opinions but some1 like me doesnt know if tosan, newton & david etc are d judges and some few pple like event redefined, flawless makeovers are not on the list, y? Even if everybody cant be on the list but Pls lets try and appreciate them………….where can we vote.? cant wait to start voting. Happy to see chocolatiers wonders on the list. Divine cupcakes and desserts. Pls wen it comes down to event plannersN Elizabeth R is nt on the list and also for decorations too. For your caterers. TFC, Mistee. And for party drinks you guyd need to taste Precious party drinks Chapman, its the best have tasted sooo far, its good, althou they are still upcoming . I’m happy for my girl @eventi cocktails!